Three years ago this week, a young African-American man named Michael Brown was gunned down in the streets of Ferguson, Missouri. His death, at the hands of a trigger-happy white police officer, and the protests that followed to seek justice for his murder helped ignite the movement that became known as Black Lives Matter. This movement has forced the country to confront the problem of police brutality against everyday people, disproportionately Black Americans, as a central reality of politics and race relations. The narrative around the Black Lives Matter movement has often been a fragmented one, with supporters and detractors alike eager to add their viewpoints. 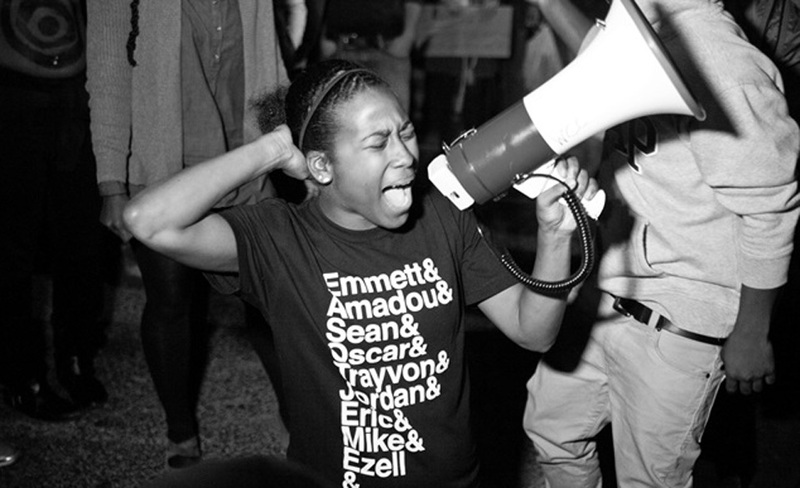 The new documentary film Whose Streets?, which focuses on the killing of Michael Brown and the movement that arose in its wake, puts Black activists front and center. The film, being released August 11 in Los Angeles, New York, and St. Louis, was directed by two African-American filmmakers, Sabaah Folayan and Damon Davis. The young directors explained to Filmmaker Magazine that they wanted to do more than just make a film that stroked their egos or presented a montage of chants and rallies, but rather to create something that went beyond the regular media narrative. 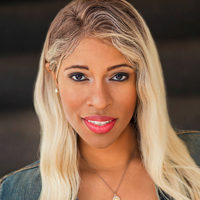 The documentary, which combines the use of fast-paced cinematography and cellphone footage, gives faces and hearts to the struggle, by choosing to focus on a select group of individuals. Audiences take the journey through the aftermath of Brown’s death with Brittany Farrell, a nurse and young mother; David Whitt, a recruiter for the civilian organization WeCopWatch.org; and Tory Russell, a cofounder of Hands Up United. The film opens with a quote of the now infamous Dred Scott Case, in which the Supreme Court decided in 1857 that no Black person, freed or enslaved, could claim U.S. citizenship and the rights that entailed. It was a fitting reference with which to begin, seeing as how the lack of justice for Michael Brown, and hundreds of other Black Americans assaulted and/or killed by police, continues to leave many questioning whether African Americans can receive equal justice under the law in the U.S.
From there the documentary flashes through visuals of the turmoil in the streets of Ferguson and the raw reactions of people in the aftermath of tragedy. Clips from various mainstream media outlets are used to highlight the lack of complexity that most reports gave to Ferguson and the activists there. Whose Streets? is a showcase of the multilayered nature of the Black community combined with a critique of the media’s handling of the narrative surrounding Ferguson. The film has no direct commentary nor experts weighing in between scenes, but rather throws the audience directly into the thick of the action to experience it for themselves. Watching Whose Streets? transported me back to a not-so-long-ago time when “Hands up, Don’t shoot” became the rallying cry against police brutality. A time when racial tensions were heightened across the country and it seemed like any city could become the “next Ferguson.” Seeing the activists gave me some comfort, but I was reminded all over again how the police officer that murdered Brown, Darren Wilson, was not indicted, and that somehow all the legal inquiries concluded that Wilson killed Brown, who was not armed, in self-defense. Perhaps provoking that sense of unease is the intent of the filmmakers—an effort to remind the audience that this is only one slice of the story against inequality and oppression, not the conclusion. Through humanizing the struggle for justice, Folayan and Davis have aimed to make the public understand that the fight for equality, and even more specifically, the Black Lives Matter movement, is not faceless and impersonal. The battle waged in order to be recognized as a human being, deserving of life and liberty, is a very personal story, but it’s also an American story. Ferguson is a specific city, but it can also be symbolic of other times and places in history where a community has risen up. Black people watching the film will be able to see themselves as modern day heroes for justice, since there is no caped crusader that will come to their rescue to make things right. No liberal white savior, as some films on race have tried to push, will do the trick either. The community finds strength in itself even in the midst of hardship. 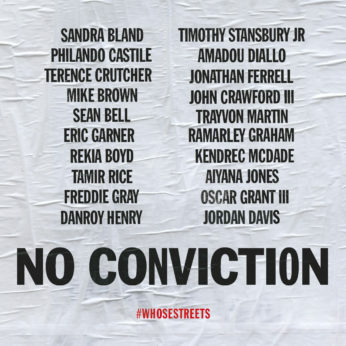 After its opening in select cities this weekend, Whose Streets? will be released nationwide. It’s a powerful documentary that uses one defining incident to connect viewers to the overarching fight for true justice and the people who sacrifice so much for it.